Lemonade is summer’s quintessential thirst quencher. And when the temperatures rise to a scorching heat in South Texas, we definitely like to cool down with the tart and tasty citrus drink. Sure we support the neighborhood children whenever they open up their lemonade stands on the street corner. But what if the little entrepreneurs had a summer bake sale and offered slices of lemonade cake?!? That may be a creative idea (but perhaps too ambitious). 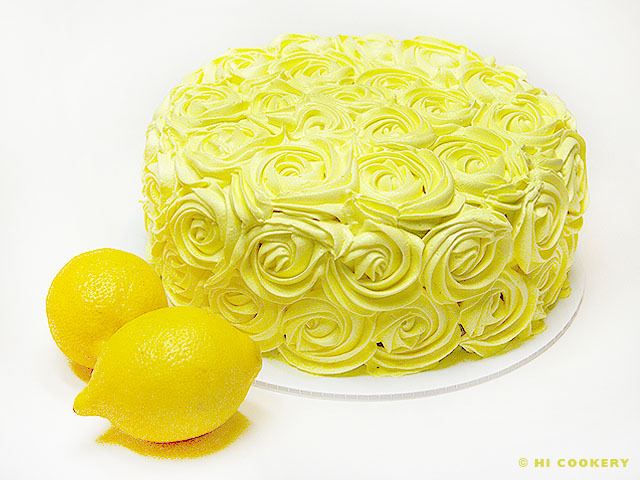 Nevertheless, lemonade in a cake still makes a sweet summer treat, especially on National Lemonade Day! 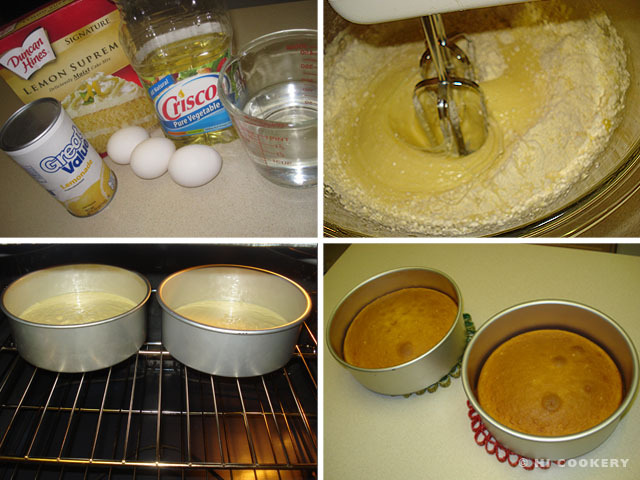 In a large bowl, combine the lemon cake mix with the water, vegetable oil and eggs. Mix until smooth. Pour into two 8-inch greased round cake pans. Bake in a preheated oven at 350 degrees F for 40 minutes, testing the cake for doneness. Remove from the oven and cool the cakes in the pan for about 15 minutes. 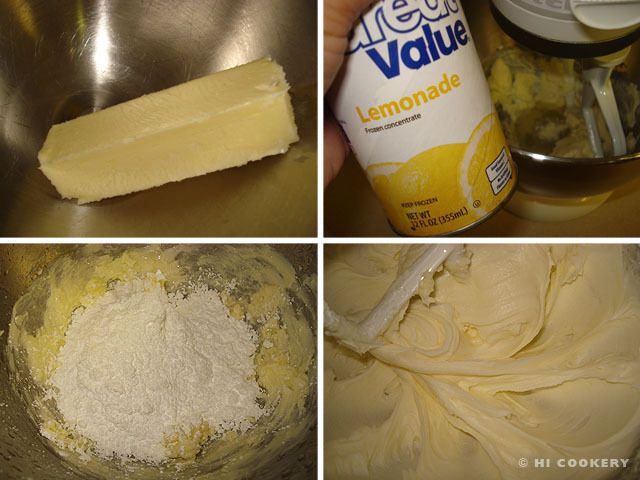 Make the lemon glaze by mixing the lemonade concentrate with powdered sugar in a bowl until smooth. Poke holes in the warm cake with the tines of a fork. 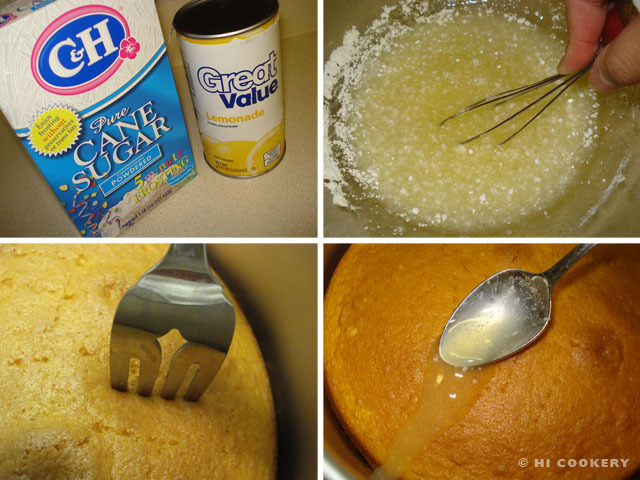 Drizzle the glaze on the cake, letting it seep through the holes. Cool the cakes completely. Invert one of the cakes onto a cake board or plate. Make the lemonade frosting. In a mixing bowl, cream the butter with the lemonade. Gradually add the powdered sugar and beat until smooth. Thin with water for a spreadable consistency. Spread frosting on top of the bottom layer of the cake. Top with the second cake. 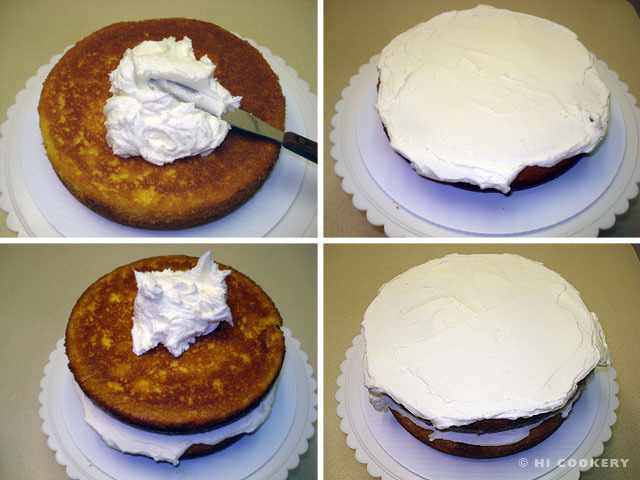 Spread frosting on top layer and down the sides of the cake to crumbcoat. Chill in the refrigerator for half an hour to set. Frost or decorate as desired (we covered our cake in rosettes; refer to our blog post for the Mystical Rosette Cake for additional directions). Slice and serve the cake. 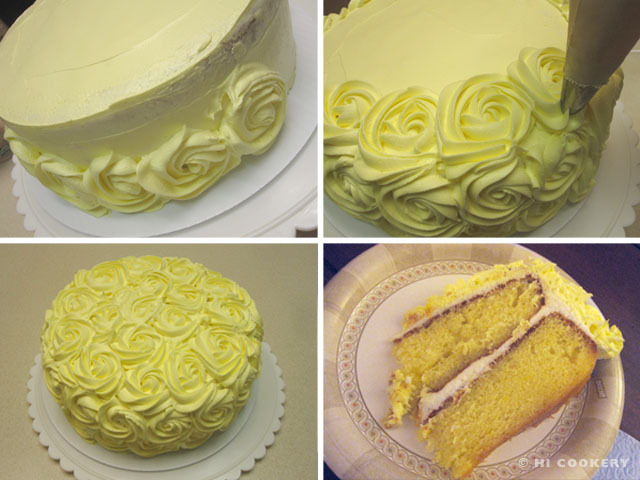 We doubled the recipe for the lemonade frosting to crumbcoat and decorate the cake in rosettes. We tinted half of it with a lemon yellow color for the latter. Try substituting pink lemonade and tinting the batter and frosting in pink for a different color cake. Love lemons? Search our blog for other lemon recipes!